Lay's (also known as Walkers in the United Kingdom and Ireland, Smith's in Australia, Chipsy in Egypt, Poca in Vietnam, Tapuchips in Israel, Margarita in Colombia, Katkoot in Kuwait and Sabritas in Mexico; formerly known as Hostess in Canada until 1996) is the brand name for a number of potato chip varieties as well as the name of the company that founded the chip brand in 1932. Lay's has been owned by PepsiCo since 1965. Other brands in the Frito-Lay group include Fritos, Doritos, Ruffles, Cheetos, Rold Gold pretzels, Munchos, Funyuns, and Sun Chips. In all seriousness, I don't really get it. Besides that pink is a hideous color for something like potatochips packaging. Its just wrong.. 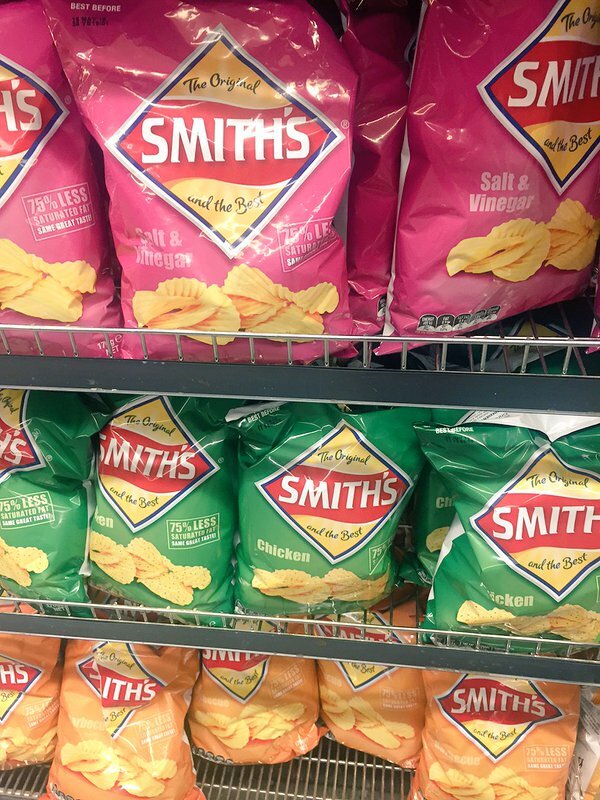 Pink for Salt & Vinegar ? it should be blue or at a pinch green. Green for chicken? Its just not right. In almost every country there is an other name. Here you have a list of all the names and countries. I'm French so maybe it's why I dont get the joke ? What's the problem with colors ? I am just being silly, I take my crisps seriously - Crisp sandwich is one of the nicest things in the world. consumers will accidentally buy the wrong ones. My name is a girls name in Poland, or so I've heard. And is basically how they pronounce "Hola" in spanish speaking countries. Ola is also, here in Norway, among the oldest names. And it's sort of our "John Doe".